A new group of buyers referred to as the “New Aristocracy” have become targets of focus in the luxury real estate market. This affluent group encompasses both Millennials and the younger portion of Generation X. The New Aristocracy is comprised of high-net-worth consumers aging from 25–49, who have likely inherited or will be inheriting significant wealth. 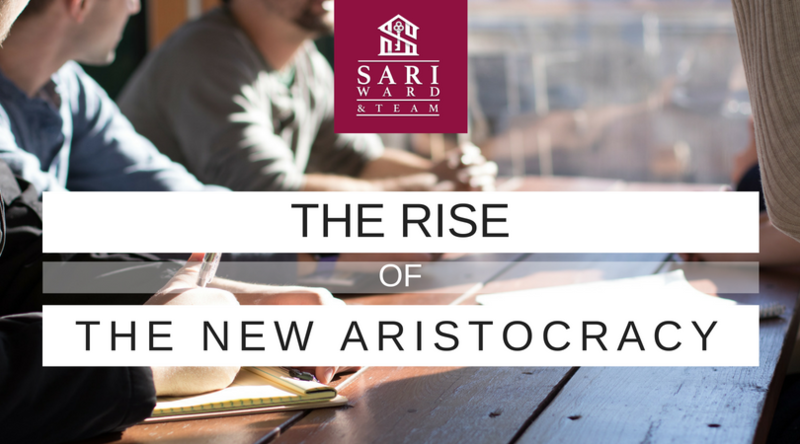 A survey was recently conducted to provide a deeper understanding of the New Aristocracy buyers’ housing preferences, and we have included our summary of the data below. The results are based off of responses from more than 500 U.S. consumers planning to purchase property in the next 3 years, who currently have investable assets of $1 million or more. The New Aristocracy buyer considers proximity to friends and family and distance to shopping and restaurants top factors when determining the ideal location of their next home. More than half of surveyors (54%) are seeking homes in urban areas over suburban areas (38%) and rural areas (9%). The New Aristocracy buyer is primarily looking for an urban residence, and many are seeking a living area of 5,000 square feet or larger. Over half of surveyors (53%) are looking for property over 7,500 square feet, and many are looking for four or more bedrooms and three or more bathrooms. The survey revealed the New Aristocracy buyer has mixed preferences. While Modern continues to grow in popularity, classical styles such as Victorian, Tudor and Brick Georgian homes proved just as popular. Steam showers, spa/Jacuzzi, outdoor pool and in-house gym/fitness centers are among the most desirable fitness features by New Aristocracy buyers. Nearly half of survey participants (45%) consider steam showers and Jacuzzis essential features in their next home. Smart home technology centered that promotes sustainable living is a hot item for high-net-worth consumers. High-efficiency windows and doors along with an equally efficient HVAC system are prime selling features. Only 7% of survey participants believed features like smart phone control, water efficient landscaping and high efficiency HVAC and windows/doors did not matter. The survey revealed upgraded kitchen features such as commercial grade kitchen appliances, dual refrigerators, and outdoor kitchens for poolside entertaining are highly-desired features for he New Aristocracy buyers. New Aristocracy buyers love the idea of specialty rooms and are looking to purchase homes that include features such as dual master suite closets, dedicated laundry rooms, library or music rooms, outdoor patio/terrace and a separate guest suites. Nearly half of surveyors (46%) deemed a dedicated home theater an essential feature in their next home. High-net-worth consumers expect homes to be outfitted with the latest technology capable of enabling privacy and security. More than half of surveyors (53%) said multi-view surveillance cameras and monitored security systems are essential in their home. The survey was conducted by Luxury Portfolio International and YouGov, a market research and data analytics firm. If you would like to view the survey results in its entirety, click here.